If you are a caramelized creme, peanut and pretzel person, you will love this! 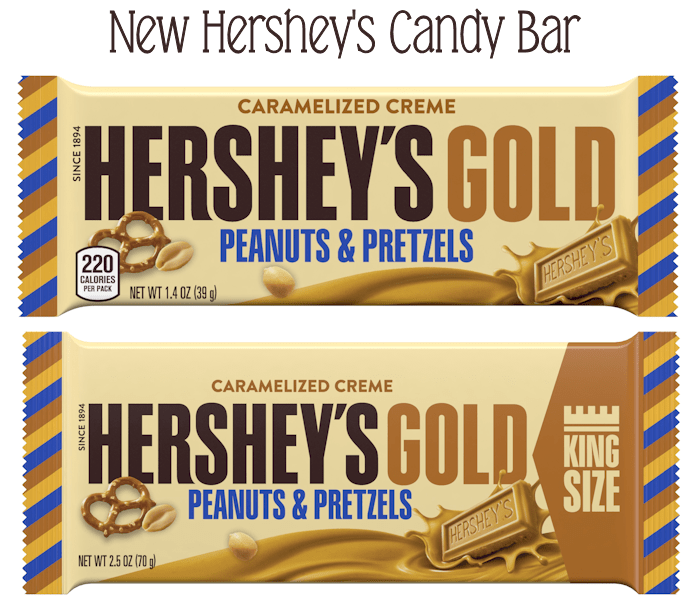 Hershey is launching a new member to the candy company, and they have named it Hershey’s Gold. Now these won’t hit the shelves until December 1st, but I managed to score a couple to try before hand and I can tell you, these are delicious! Hershey’s Gold Caramelized Crème with peanuts and pretzels features a delicious caramelized crème, with a combination of sweet, salty, crunchy and creamy goodness. Available in standard 1.4 oz. standard bar (SRP $0.99) and a 2.5 oz. King-size (SRP $1.69). 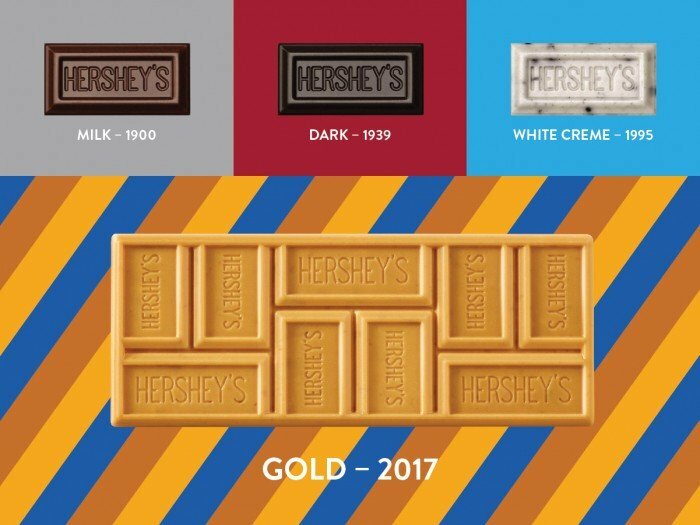 For the fourth time in the company’s history, Hershey is announcing a new flavor to their namesake portfolio, Hershey’s Gold. 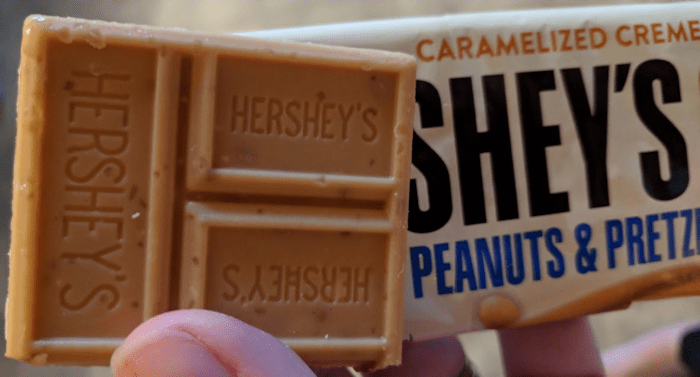 The new bars are a caramelized creme that feature salty peanut and pretzel bits to give consumers a sweet, buttery taste that is topped off with a creamy and crunchy finish. 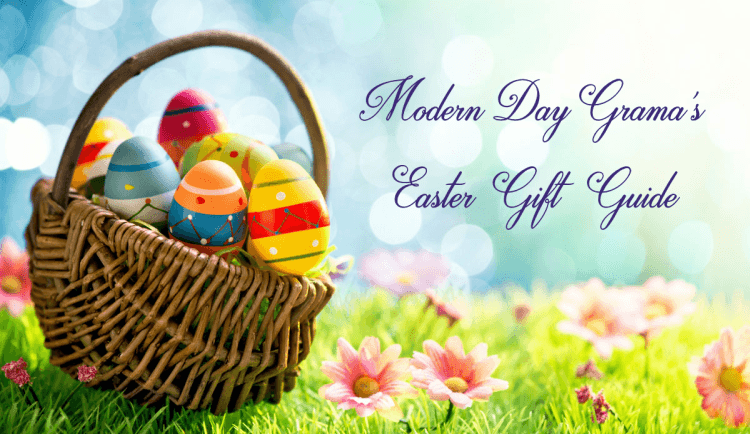 Hershey’s flavor history began in 1900 with the launch of its iconic milk chocolate bar, followed by Hershey’s Special Dark chocolate in 1939. It wasn’t until 1995, 56 years later, that the company introduced Hershey’s Cookies ‘n Creme. Now in 2017, the iconic Hershey’s brand will launch Hershey’s Gold, the first mass-market, golden creme confection in the U.S. These look delicious! I can’t wait to try it. My daughters may find one in their stocking this year!